Must have a 200GT Commercial Masters License and apply for Cook Island Endorsement.Experience with sail, cargo, multi-cultural relations, coral reef navigation, engineering, and ship business principles are all needed.Trading and/or retail experience are desirable. Duties will include full charge of the ship, loading and discharge of cargo, personnel management, official relations, and all communications. Willingness and energy to engage in all aspects of the ship and business are essential to this position. 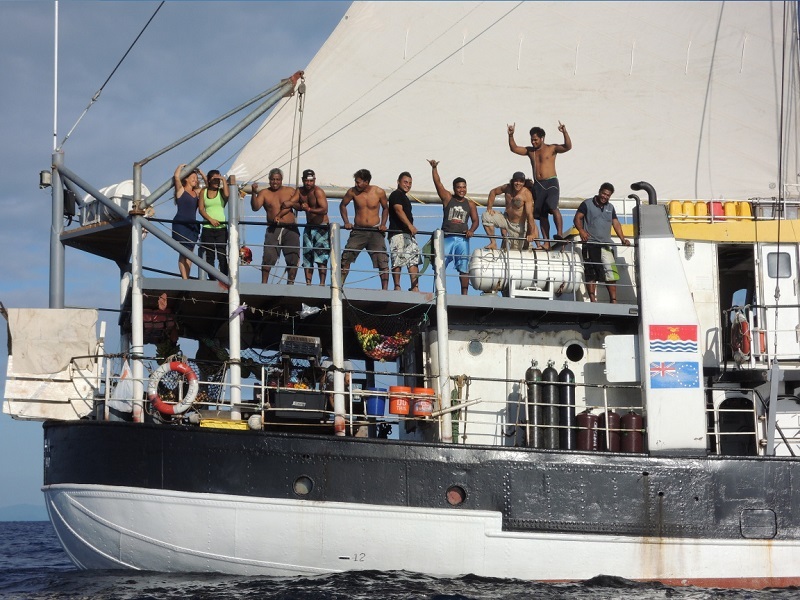 Must have 200GT Mates Commercial License and apply for Cook Islands endorsement.In charge of all safety systems, medical system, sail, rigging and deck management. Management of cargo and passenger loading and discharge. Integration of rotating multi-cultural crew. Some accounting, Excel spreadsheets and database computer skills are preferred. Experience working independently in the operation, maintenance and repair, of all electrical, mechanical, water and safety systems. You will be in charge of systems supplies, inventory, stocking and documentation. Proficiency in Word, Excel, Quicken or Quick books & database is required.Retail sales, stocking & purchasing experience a plus. No maritime qualifications needed but some experience at sea is necessary. Customer service is required in a very physically demanding, detail oriented environment. Some multicultural experience is preferred. Some training is expected. Experience cooking at sea is essential. Organizing, provisioning and food planning for long voyages is required. Cooking normally is for 10 to15 people and up to 70 at various times and for short periods with assistance. Working and training with multi-cultural people is also a part of this job.